It’s been quite a year for gluten free and vegan, Incredible Bakery Company, wholesale manufacturer of bakery products without using any of the 14 common food allergens. Not only have the Incredible Bakery Company won the freefrom category at the national Baking Industry Awards and been shortlisted for the Freefrom Awards. 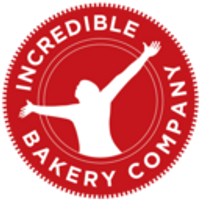 Additionally, the Incredible Bakery Company supplies an ever growing list of UK independent wholefood shops, specialist grocers, restaurants, cafes. farm shops, delis, pubs, hotels and nutrition clinics. Now, the Incredible Bakery Company turns its attention to supplying large retail and restaurant chains and becoming ready for export with a new frozen and dry mix range including a Chia Roast Flour mix, Shortcrust Pastry Flour Mix and a frozen Margherita Pizza. This is now possible with the news that the Incredible Bakery Company has received the Safe and Local Supplier Approval (“SALSA”) accreditation. 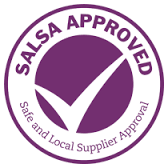 SALSA is a food industry quality standard for food manufacturers which allows talks to take place with hundreds of buyers from large retail chains. Additionally, Incredible Bakery Company has the required approvals to manufacture products on request for other companies. A complete overhaul of systems, processes, procedures and facilities has taken place within the last six months at headquarters in Warkton, Northamptonshire and the effect has been hugely positive.